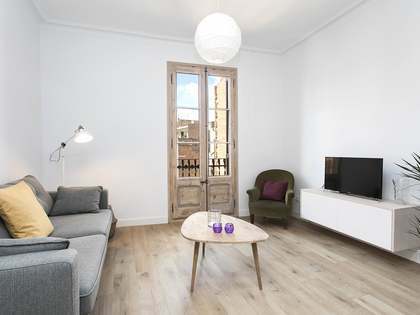 At the Lucas Fox Turó Park office, we specialise in real estate for rent and sale in the Zona Alta area of ​​Barcelona City, specifically including the neighbourhoods of Pedralbes, Sarriá, Maria Cristina (Les Corts), Tres Torres, Turó Parc, Sant Gervasi-Galvany and Sant Gervasi-La Bonanova. 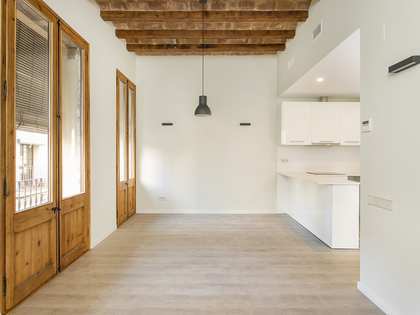 We also have properties in very specific areas around the Baix Llobregat and Valles area, including the affluent neighbourhoods of Esplugues, Sant Just Desvern, Sant Cugat, Valldoreix and Vallvidrera. Drawn to these areas by their family-friendly infrastructure, high-class atmosphere and the abundance of green spaces and leisure options, our typical clients tend to be international families looking for a first home near international schools and national clients seeking a larger property. These prestigious residential areas provide quick access to the city's ring roads and its international airport, permitting residents to enjoy both clean, peaceful surroundings but with all that the city offers within very easy reach. If you are exploring the property market in these areas, our highly professional and experienced team of estate agents at the Turó Park office can attend clients in several languages. Buyers, sellers, landlords, tenants and investors rely on our international team of real estate professionals to accompany them every step of the way during the sales or rental process, benefitting from our wealth of market knowledge and expertise to help with all property requirements. At Lucas Fox we are experts in matching individual’s lifestyles with the ideal properties, helping our clients make the best use of their valuable time and always striving for complete client satisfaction. Properties in Zona Alta often enjoy stunning sea and city views thanks to their lofty locations, and are generally much larger than in other areas of the city, offering additional features such as office space, service quarters and parking facilities. The most highly sought after properties are exterior-facing apartments and penthouses with a terrace, a minimum of 3 bedrooms and parking facilities in the same building. Properties close to international schools and detached houses near the city’s services are also in great demand. 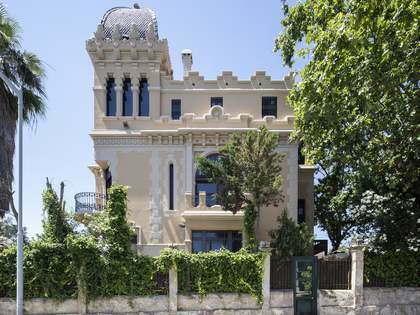 Pedralbes, Sarrià and Sant Gervasi are all synonymous with luxury homes and are among Barcelona’s most highly regarded residential neighbourhoods. 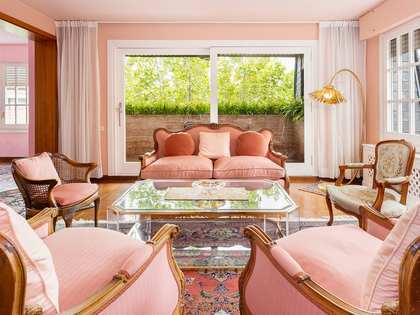 La Bonanova provides many opportunities to acquire beautiful period properties with Modernista façades on wide tree-lined avenues with a great variety of high-end restaurants, bars and boutiques, mainly concentrated on the famous Carrer Mandrí. Sant Gervasi-Galvany is home to some of the city's best restaurants, nightlife and shopping, especially along Avinguda Diagonal towards Plaça de Francesc Macià, and Vallvidrera and Tibidabo real estate for sale and rent mainly comprises large detached houses with private gardens and panoramic views. The golden triangle of Turó Park is formed by 3 famous streets: Josep Betrand with views of the newly revamped park, Ferran Agulló with its many shops and exclusive restaurants and Carrer Francesc Perez Cabrero with its trendy fashion stores. Our office is located on Carrer Pau Casals which is, and always has been considered an oasis of high-end shops in Turó Park. 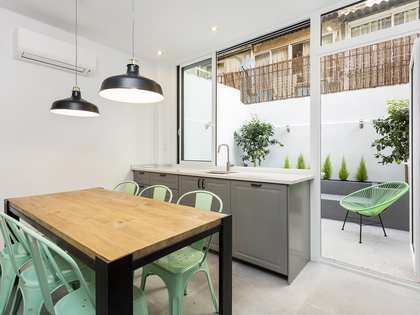 One of the most coveted streets in the neighbourhood is Reina Victoria; a relatively traffic-free area with spacious and highly comfortable properties in stately buildings, including apartments and penthouses with magnificent views over the Turó neighbourhood. 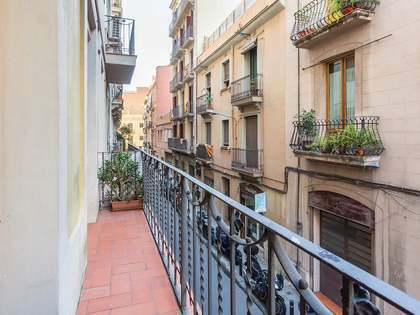 The streets leading off from Plaça Gregorio Taumaturgo, surrounding the swimming pools and sports facilities, also offer exclusive real estate options. We have luxury properties on offer in the prestigious streets of Escoles Pies, Santa Fe de Nuevo Mejico and Johan Sebastian Bach. In the quiet, leafy area of the Baix Llobregat and Valles, just 5km from Barcelona, surrounded by nature and within easy commuting distance of Barcelona city by road and rail, we find the prestigious leafy residential areas of Esplugues, Sant Just Desvern, Sant Cugat where we have several outstanding modern villas, high-end apartments and penthouses, as well as Modernista style period properties and townhouses. 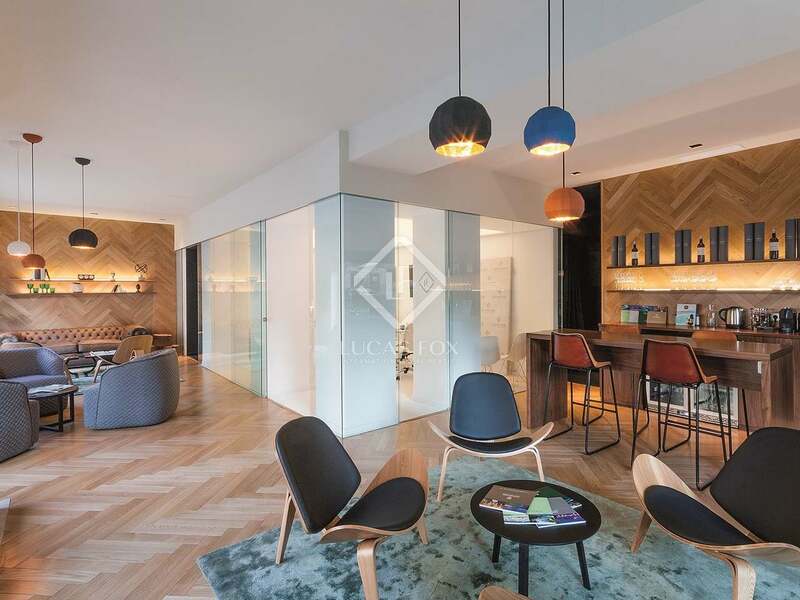 Whatever your personal circumstances, at the Lucas Fox Turó Park office we offer a diverse range of luxury properties for sale and rent suiting any lifestyle. Browse through the exclusive properties on our web or contact our experienced agents to help you with your property search.